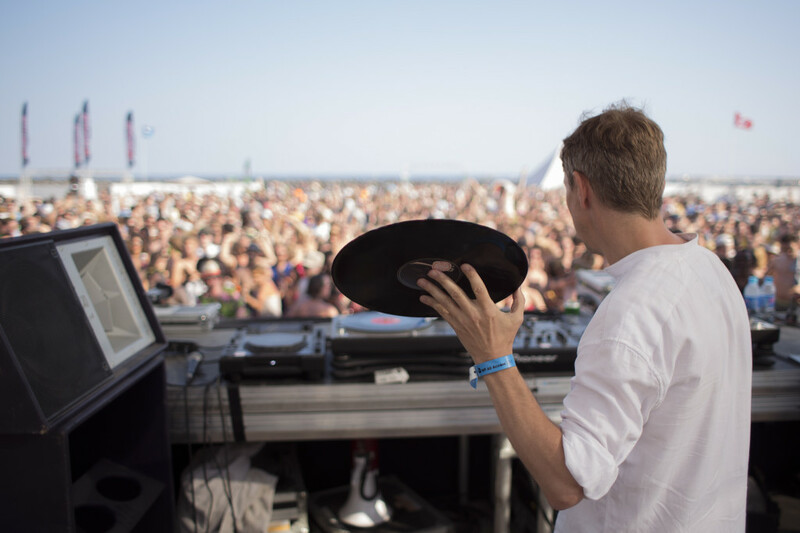 No stranger to change, from a teenager with his own pirate station to national radio at the BBC, the career of veteran radio and club DJ, Gilles Peterson, recently took a major turn. Only a couple of weeks ago, Gilles left BBC Radio 1, home to his award-winning Worldwide show for the last 14 years, to start a new chapter at BBC Radio 6. Although many listeners were left saddened at the news of his departure, the new show kicked off with a bang, with Peterson clearly excited about the new, longer format, which now broadcasts for 3 hours on Saturdays and during broad daylight. Over the last decade or so, Worldwide has documented many exciting currents of music. Music that often slipped between typical genre terms, ‘joining-the-dots’ between overly-defined styles – jazz, hip hop, soul, electronic music and so on; providing historical context, delving regularly into his deep record collection and highlighting important reissues, while unearthing gems from round the globe. Gilles ended his tenure at Radio 1 with an excellent series of retrospectives, charting the show’s journey through time and various styles of music – while simultaneously giving a reminder of the number of acts the show was responsible for giving important exposure to at an early stage. CF: You’ve had one of the longest running shows at Radio 1; what were your proudest achievements during your time there? CF: In your mind, how will the new show differ from that on Radio 1, apart from the obvious difference of doing it in daylight? The new show just gives me the opportunity to stretch out even more – to really push the musical boundaries even further. I feel that the audience is very proactive and that interaction is very exciting for me – daytime is brilliant – I’m really enjoying that! CF: Do you think the new time slot will allow for your music to reach a different group of listeners? And if so, will you program the music with that in mind? I suppose there are things to take into consideration here – yes the nerds are still listening but I can really feel that there are many people who don’t really know what I do and are just super open to hearing great music – that is so fresh to me. I think the new time slot will really allow me to break music. I’m hoping to find the right balance between new and old and obvious and random! CF: It sounded like you really enjoyed the first show? What are you most excited about regards the change? I just want to get into a relaxed place with the show where I can really feel like I’m in my front room with a bunch of mates flicking through music – everyone’s dream basically! CF: Are there artists new or old that you’d like really like to focus on more, since the switch to BBC Radio 6 Music? Not really, I’m just hoping that the music doesn’t ever dry up! The best thing about living in the UK for me is that it’s a constant fountain of music and art and youth culture and fashion. It’s still on the top of the charts globally for me. There’s a constant source of fine stuff as long as you search for it! CF: Of all your shows at Radio 1, have you got a favourite? The last show was a lot of fun getting all my old producers in but otherwise I really enjoyed doing shows with Roy Ayers and Questlove and my interview with Theo Parrish on the same show as a Maida Vale session with Meshell Ndegeocello – that was a classic show! CF: You had so many amazing live sessions. There must be too many to choose from, but if you could, what would you say was your most memorable? CF: Will you continue to commission live sessions for the new show, and if so, is there anyone you’d really like to feature that you can tell us about? CF: And finally, what is your favourite thing about living in London?